February 1st is Imbolc, a festival of new beginnings. It’s also the birthday of the beloved goddess, Brigid. Brigid presides over healing, fertility, childbirth, ironworking and smithcraft, art, music, poetry, and prophesy. She has dominion over wisdom, education, and knowledge. Brigid is associated with sacred fires and holy wells. 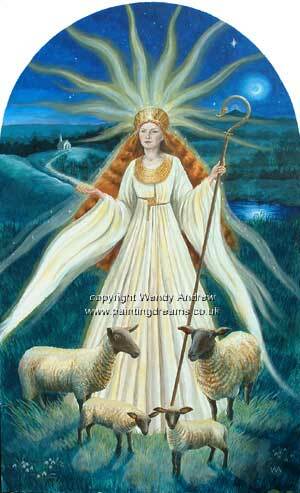 Although she is ancient, Brigid is also among the most popular modern goddesses. Unlike many other goddesses, veneration of Brigid was not suppressed following conversion to Christianity nor was she forgotten. Instead, veneration shifted to Saint Brigid, a powerful Celtic saint who bears a remarkable and mysterious resemblance to her namesake goddess. Saint Brigid’s feast day is on February 1st, too. Brigid’s evolution did not stop there. 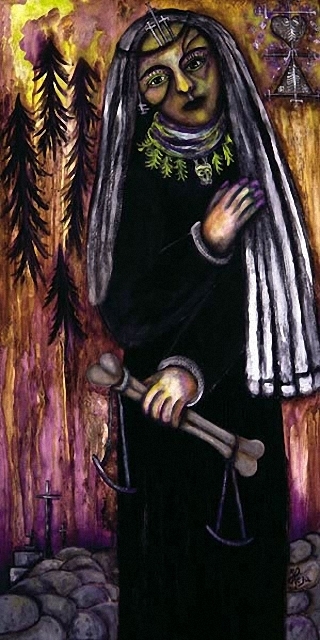 In the seventeenth century, Irish and Scots-Irish deportees, sent to Haiti as indentured servants, brought their love of Saint Brigid with them. 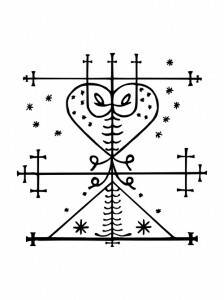 In the Caribbean, Brigid morphed yet again and a new manifestation arose: La Grande Brigitte, also known as Maman Brigitte, a prominent force in the Vodou pantheon and the influential wife of Baron Samedi, Lord of the Cemetery. 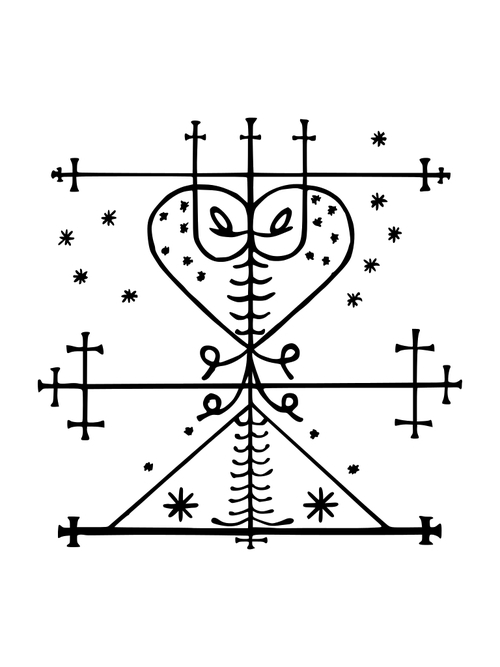 Eventually, Haitian refugees carried her veneration to New Orleans, where, once again, a powerful new manifestation emerged. As Mother Brigid, she is beloved by Hoodoo and New Orleans Voodoo devotees. Brigid, in all her forms, manifestations, and facets is the subject of one of my workshops, The Many Faces of Brigid, first presented on Saturday evening, February 1st 2014 at that spiritual hotspot, Spencer, Massachusetts at AvalonRose Cottage, by special request of the shop’s proprietor, my friend Ron Sinclair-Clee. • More information about the goddess Brigid and La Grande Brigitte may be found in The Encyclopedia of Spirits. 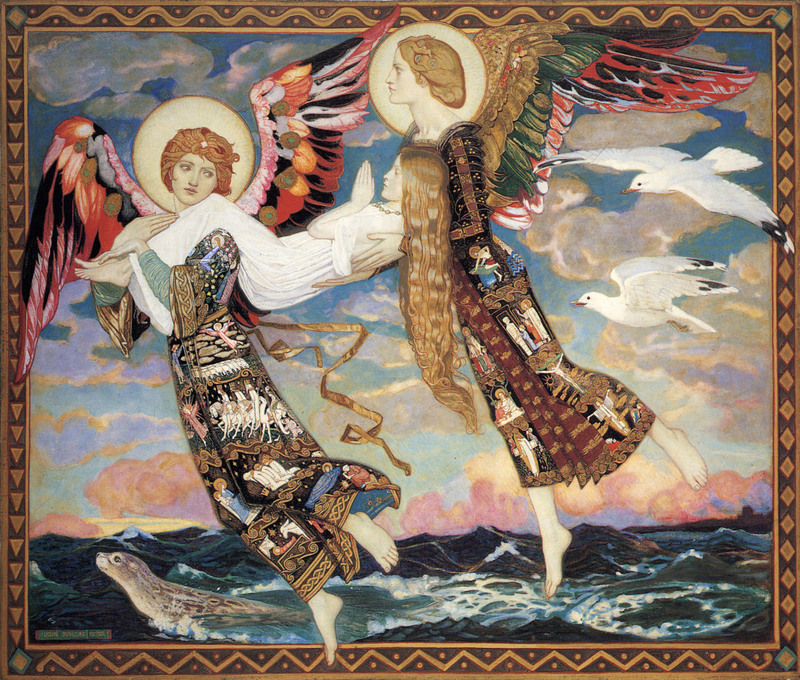 • More information about Saint Brigid and other Celtic saints may be found in The Encyclopedia of Mystics, Saints, and Sages.